Following on from the unveiling of the new virtual reality Viking adventure Asgard’s Wrath to be published by Oculus Studios sometime during 2019 for their VR platform. The gameplay video has been released this week providing a glimpse at what you can expect from the adventure which is more than just combat. Asgard’s Wrath, an upcoming Rift exclusive developed by Sanzaru Games and published by Oculus Studios. 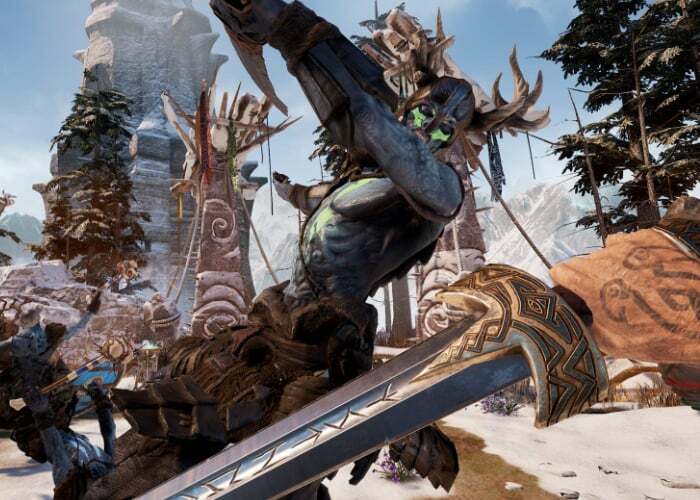 The gameplay video below demonstrates smooth locomotion and turning, Asgard’s Wrath will feature a full set of comfort options to help with VR play and motion sickness although teleportation will not be included. When the VR adventure Asgard’s Wrath launches sometime later this year it will provide up to 30 hours of gameplay and will be the “deepest title yet” from Sanzaru Games. Expect more details to be released and trailers to be showcased during the upcoming GDC 2019 conference in March 2019.